In our household we eat a hot cooked breakfast each day of the week. It helps that we have two children who wake well before the sun comes up, as this gives us a bit of time to prepare our meals before school and work. 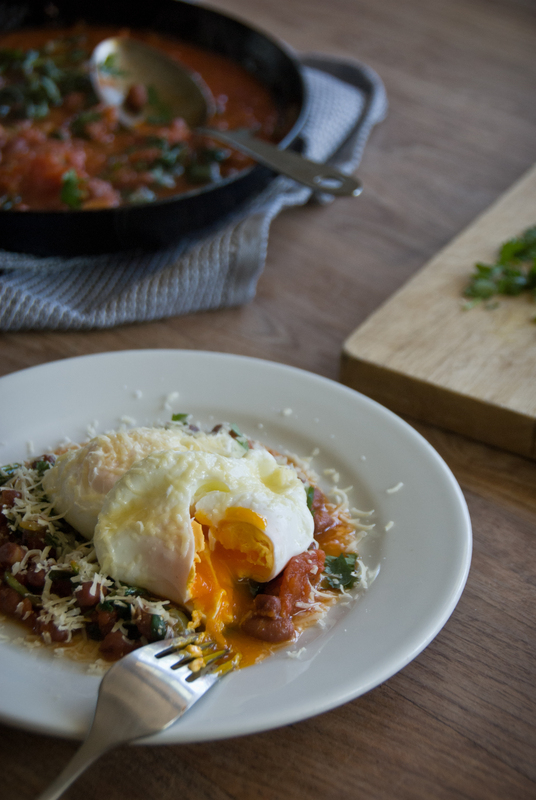 But these breakfast beans really are quick to make and you can speed up the process by getting things ready the night before, or you can make them in the weekend when you have a bit more time in the mornings. If poaching eggs seems a bit intimidating for you, try eating these beans with fried or scrambled eggs instead. But the poached eggs are rather delicious and if you are using really fresh eggs, you should get a good end result. Anyone who knows me well will know that I adore eggs. I eat a great deal of eggs. 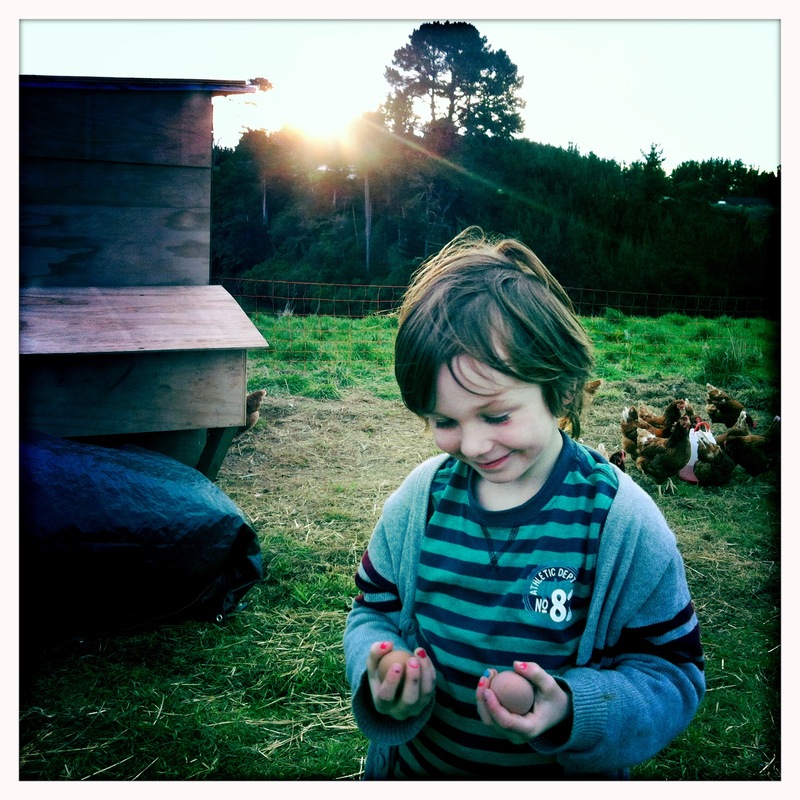 It helps that my mum is a hen whisperer and has several hundred happy free range hens. 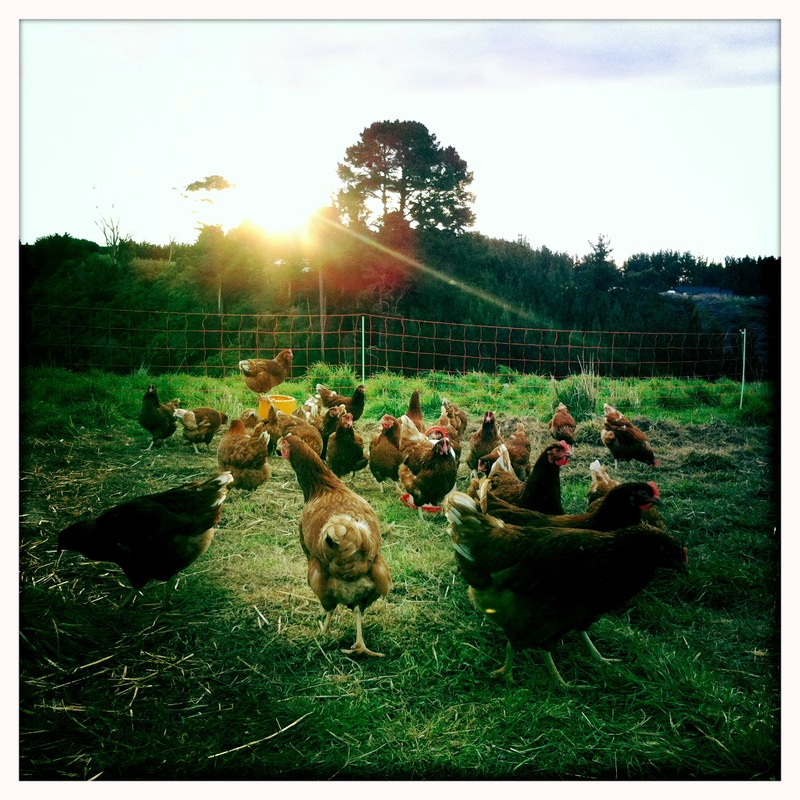 These hens roam freely on green pasture each day of the year and they produce the most beautiful and vibrant eggs. 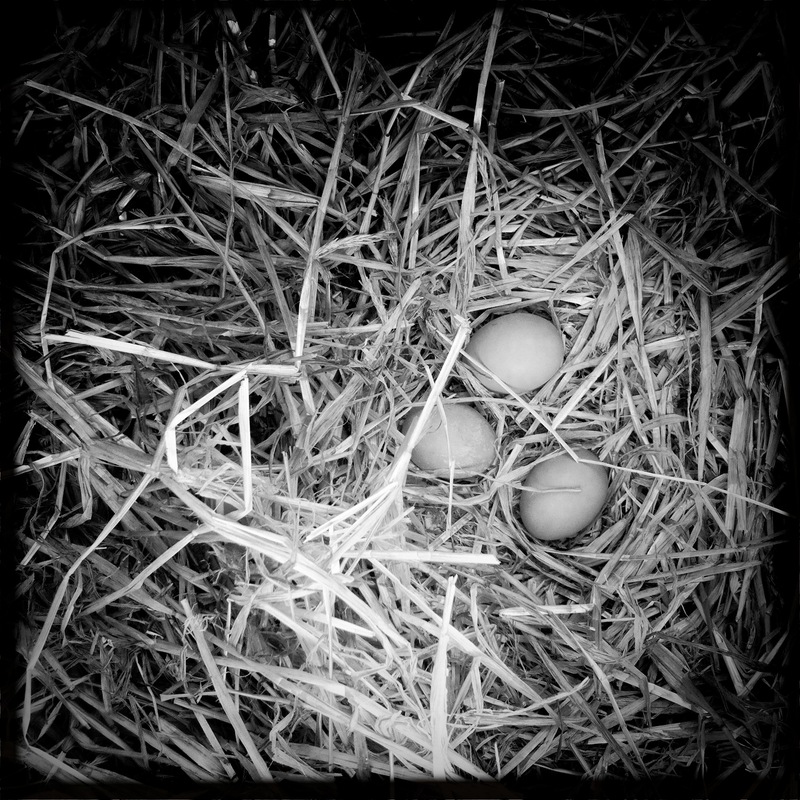 We get a generous weekly supply of eggs (about 4-5 dozen to be exact) that are the “imperfect” eggs, if there is such a thing. 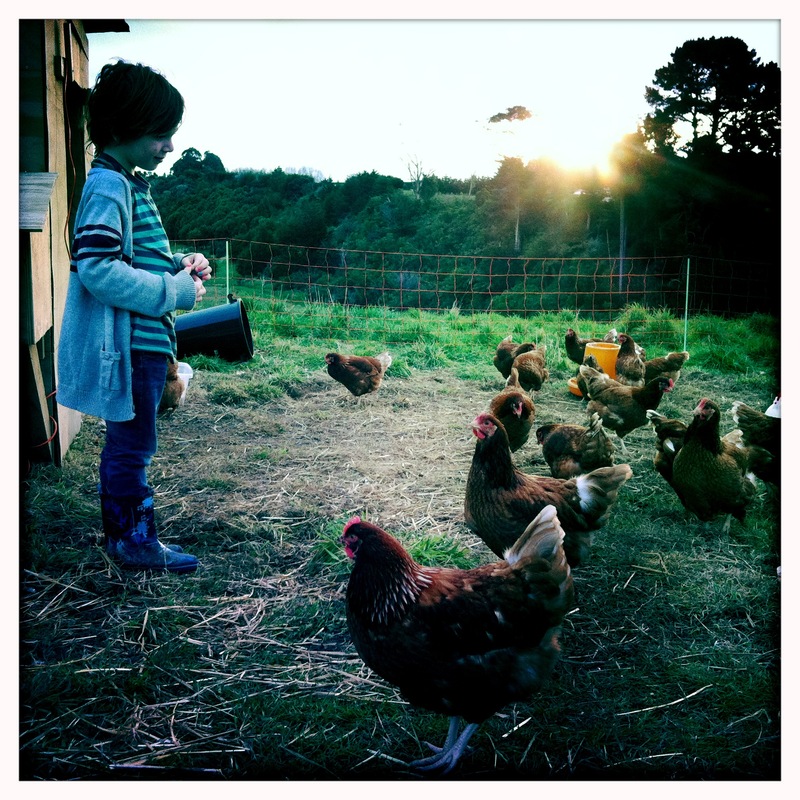 One day I hope to have hens of my own. They are wonderful animals and surprisingly social. 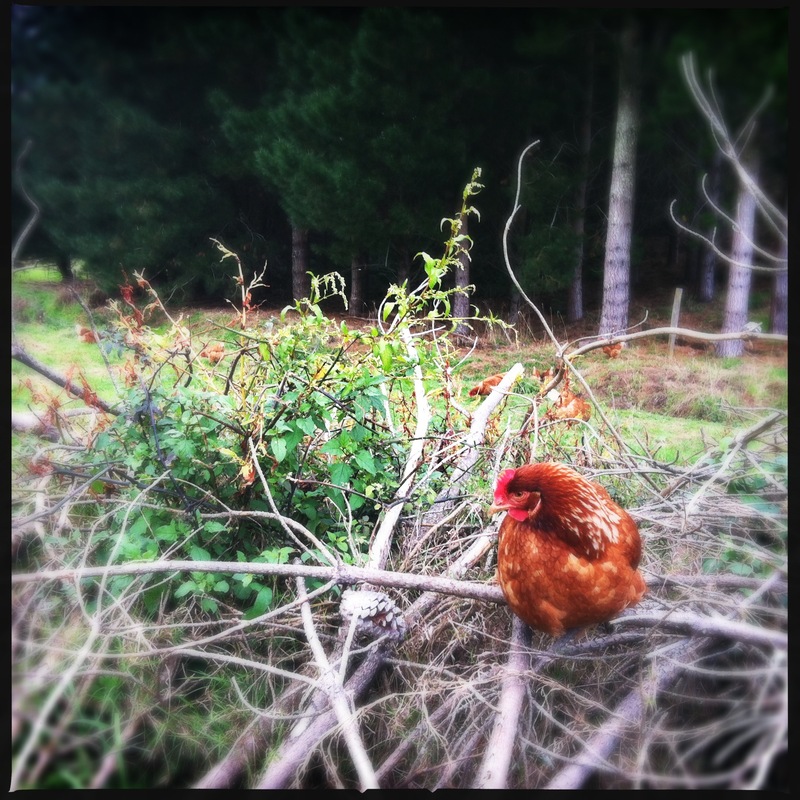 Mum has a few pet hens that have been injured by hawks or escaping pigs and these hens now live next to the farm house. One of them manages to sneak into the house each evening and jumps up onto my mother’s bed for a cuddle. 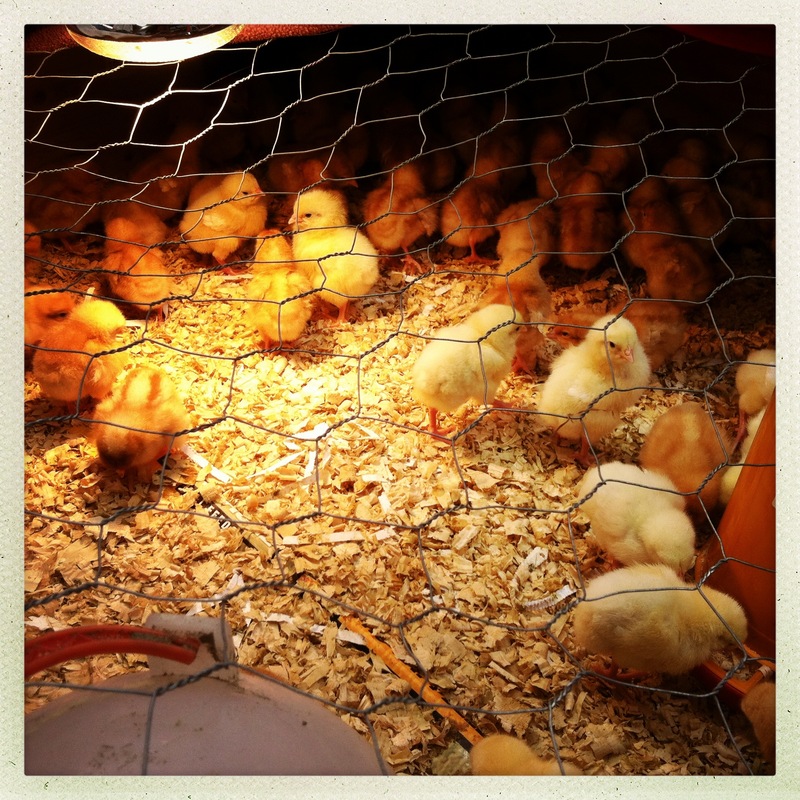 Mum is forever ushering these loving birds out of her living quarters. Heat oil gently over medium heat in a skillet or frying pan. Once the oil is hot, add chopped onion and sauté for 3-4 minutes until transparent. Add garlic, tinned tomatoes, beans, chipotle or smoked paprika and sea salt and pepper. Simmer for 8-10 minutes or until fragrant. Turn down the heat slightly if necessary. Add washed spinach and cook for 1 minute, or until the spinach wilts into the beans nicely. Turn off heat and cover with a lid. Allow to rest while cooking the poached eggs. 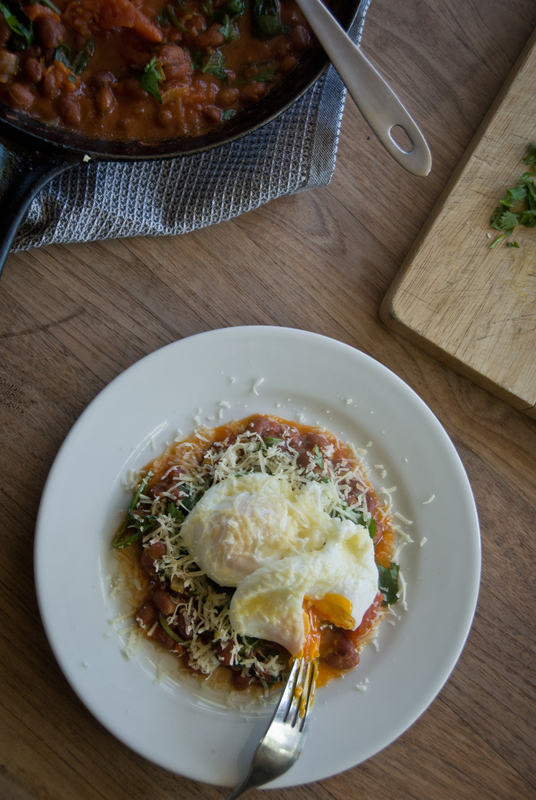 Serve beans on a plate with poached eggs on top and garnish with cilantro (fresh coriander) and grated parmesan. Half fill a medium-sized saucepan with water and place over medium heat. Add a dash of vinegar, but do not add salt. Allow the water to come to a gentle simmer. Crack the egg into a small bowl or ramekin. Swirl the simmering water in the pan with a spoon to create a gentle whirlpool. Carefully place the egg into the centre of the whirlpool. Repeat with one or two more eggs (best to cook the eggs in a couple of batches). Cook the eggs for 3 minutes for a soft yolk or 4-5 minutes for a firmer yolk. Remove the eggs carefully with a slotted spoon and place on a paper towel-lined plate to drain.